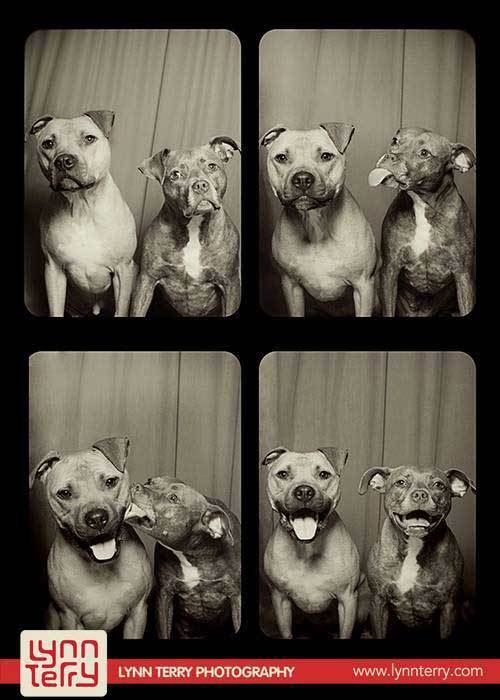 Bumper and Willis are much-loved Pit Bulls who became Internet superstars when their friendship was captured in a series of sweet “photo booth” photos by Lynn Terry. 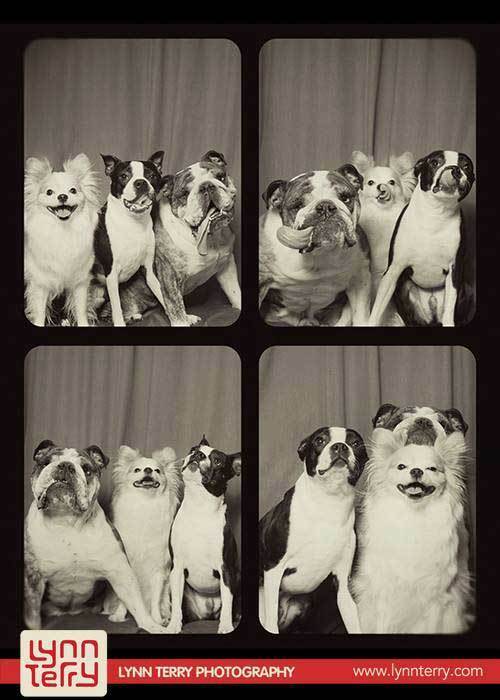 In the photo set, Bumper licks Willis in one of the photos and both dogs smile happily for the camera. 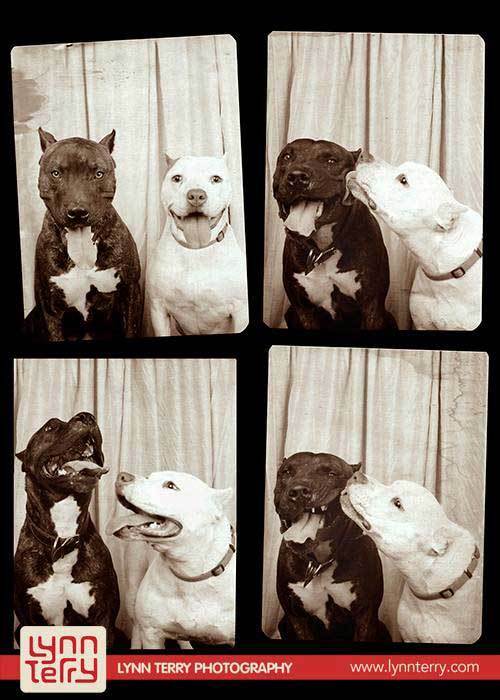 But what is really great is that the story behind these two dogs turns out to be even sweeter than their photos. Both dogs were rescued by Jason and Kelly Garrison. Bumper was rescued from dog fighting after failing to fight. She was rescued by Mutts n Stuff Rescue, a Pit Bull rescue. Willis’ mother was seized in the largest dog-fighting bust in US history. 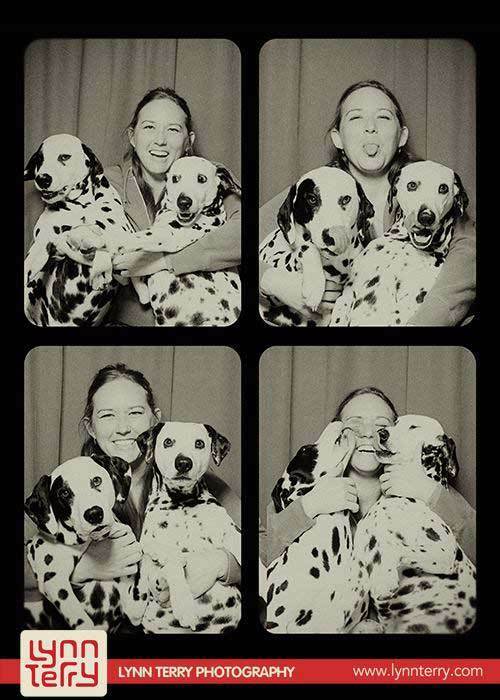 She gave birth to puppies a few weeks later. The Garrisons fostered Willis when he was 6 months old and never let him leave. 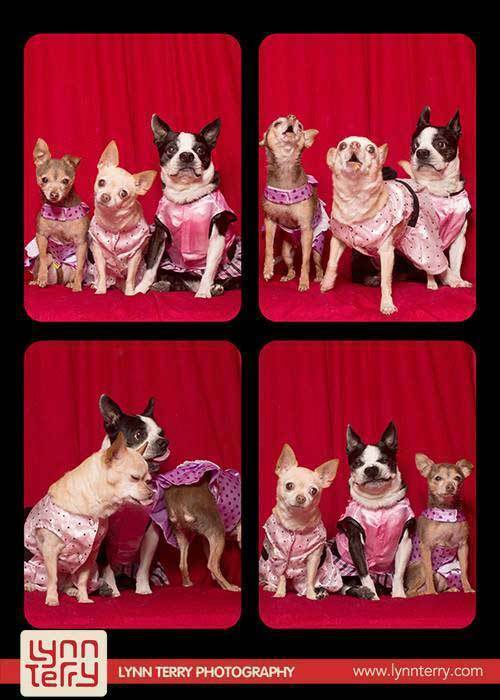 Lynn has taken photographs of pets for 10 years and especially likes Pit Bulls. 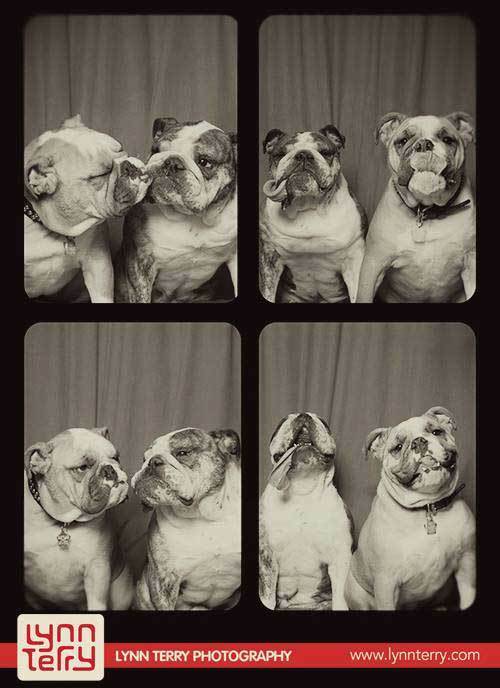 The heartwarming photos of Bumper and Willis come, in part, from her love of the breed. 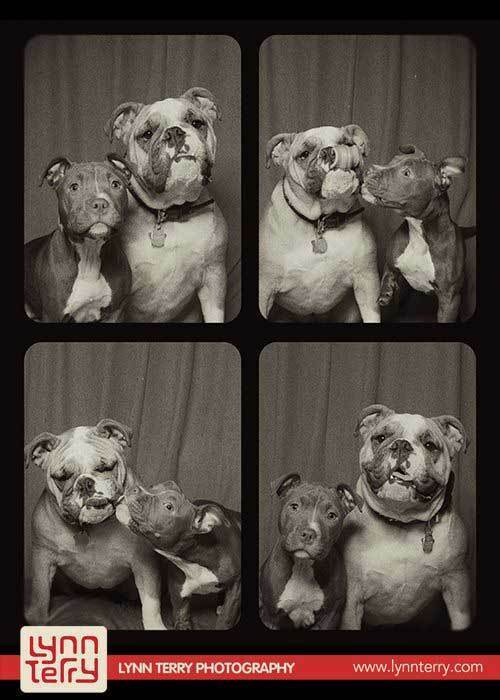 After Bumper and Willis’ photo went viral, Lynn pointed out that two other rescue Pit Bulls – Pitunia and Tucker – were the inspiration for the photo shoot. 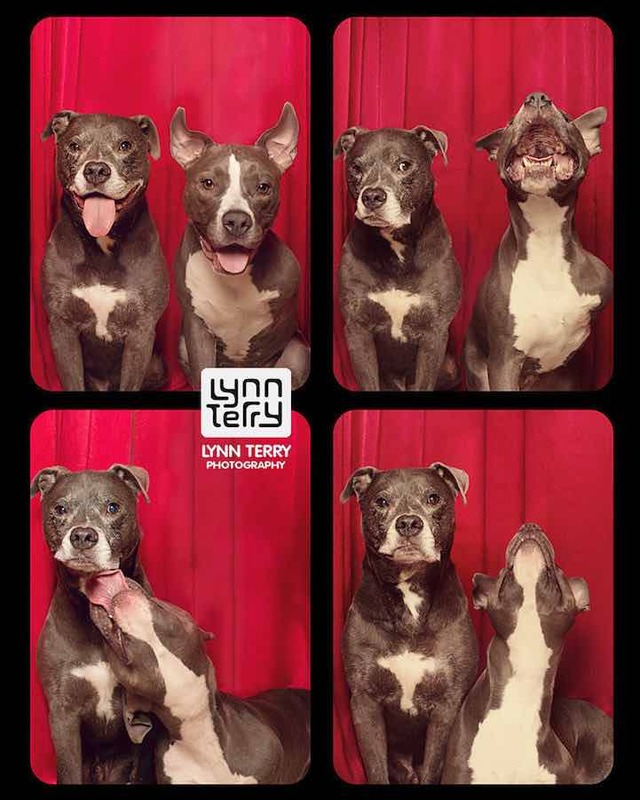 Lynn has recently released the book, Tails from the Booth , that features more of her awesome pictures of dogs in the photo booth. 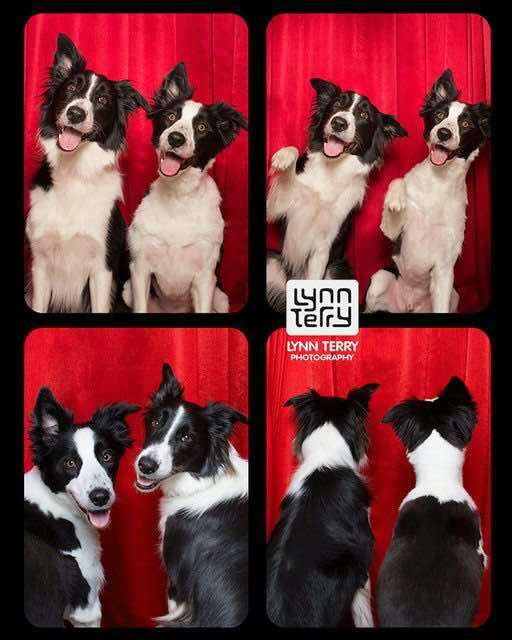 You can also see more of Lynn Terry’s photography on Facebook.